The government has decided to ban ritualistic sacrifices of animals and birds committed within the premises of Hindu Kovils or its borders, says the State Minister of National Policies and Economic Affairs Niroshan Perera. Minister said that the decision was taken in accordance with a proposal submitted by the Minister of Resettlement, Rehabilitation, Northern Development and Hindu Religious Affairs D.M. 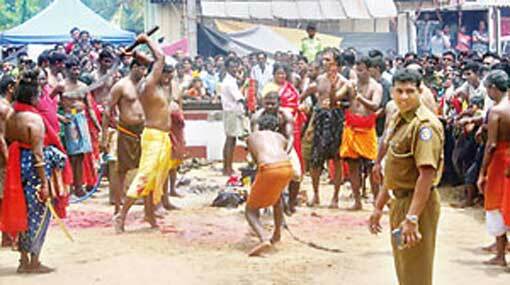 Swaminathan, to implement legal procedures to ban ritualistic animal sacrifices within the Hindu Kovil premises. The proposal received the Cabinet approval and the Legal Draftsman will be instructed accordingly to draft the necessary regulations. Currently, there is no institutionalized structure to regulate the animal cruelty committed in the name of Hindu religion, and the administration of Kovil is carried out by a single person or a management board appointed by Hindu people. Although, ritualistic animal sacrifice is an ancient ritual of Hindu religion, majority of Hindus do not accept it, said Minister Niroshan Perera. He further stated that the notion of parliamentarians representing the Hindu community and Hindu religious organizations is that ritualistic animal sacrifices should be banned and that it should be made a punishable offense.